Dogs can brighten up a weary and exhausting day as they playfully and eagerly welcome you at home. As for me, I do love to play with my dogs all the time but let’s face it dogs are not always smelling fresh like a baby. Not all dogs love bath time and I personally hate this bath time drama-rama that’s why I turn to a dog groomer to get the job done. Dog groomers are expert in cleaning, pampering and over all hygiene of our beloved pets. Can you imagine life without these fellows? Maybe the world would be filled with stinky dogs who do not like bath time just like my dogs. Luckily, we have dog groomers to save the day and if you are thankful for having them just like me but is totally unsure of what to gift the latter then you better stick around and check out the list of gift ideas for god groomers we have prepared for you below. Most of us would love to start our day with a little caffeine fix to jumpstart it. 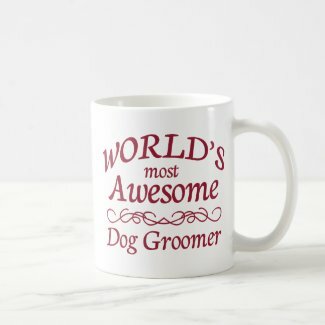 If your favorite dog groomer is a coffee lover too then gifting this best dog groomer ceramic mug would be a great idea. This ceramic mug can store up to 11 ounce of coffee which is just the perfect amount of that hot and well-loved fix. Plus, the label is quite heart-warming too! Being called the best in what you do would certainly boost your morale and give you more energy to thrive. By the way, this ceramic mug is also dishwasher safe and microwavable too. It comes in white color with the black printed message. A classic beauty, I should say. Business cards are often neglected or unseen because it is just on top of the table along with the other forms or leaflets. You can help boost the popularity of your dog groomer’s business cards by giving this next gift idea. 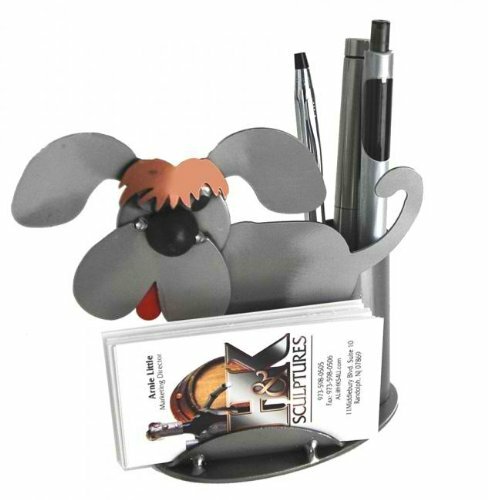 The dog shaped business card and pen holder will make the business cards shine through this eye catchy and one of a kind holder. It measures 3 inches by 3 and can hold up to 3 standard sized pens. It is made from recycled steel and carefully hand crafted to produce this decorative art piece. Dog groomers have a very busy schedule especially during peak days. That’s why they give you an appointment schedule on when to come and you really have to come on that reserved time sharp. 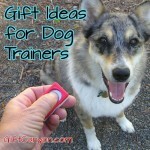 Your dog groomer can keep track of the time through this next gift idea. 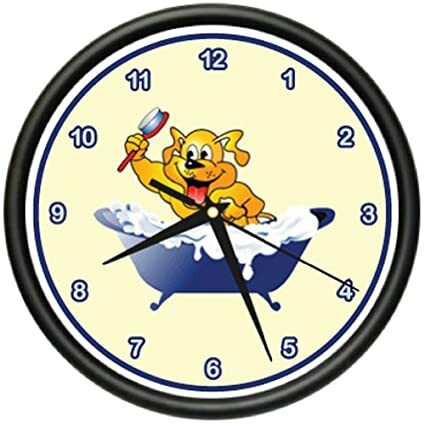 The dog grooming wall clock is a large wall clock which measures 10 inches in diameter. Checking the time would be easier and clearer because of its size plus the design is really close to the heart of the dog groomer. This dog grooming wall clock would definitely accentuate the wall of your dog groomer’s place and would cheer up the place with its vibrant colors and design. 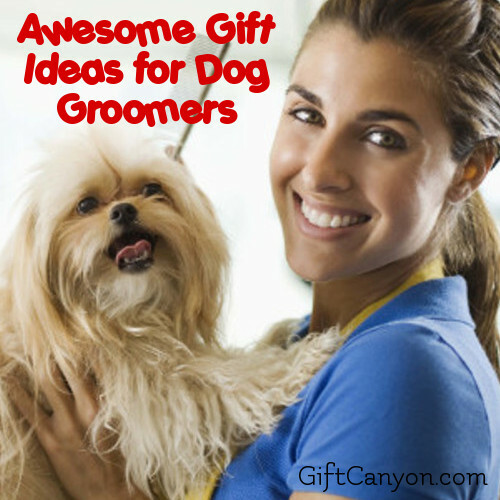 Your dog groomer may be just an ordinary person to anyone else but if your dog groomer is the best there is for you then let your thoughtfulness scream out through this charming gift idea. Giving a shirt as a gift may be too overrated since its economical and useful but given that it has a message designed on it just like this awesome shirt then definitely, this shirt would stand out among the rest. This white shirt with a design label of world’s most awesome dog groomer is made from 100% cotton and is a perfect fit when worn. 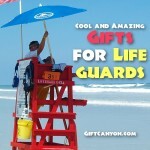 The sizes given are true to its size and it is designed to with stand frequent wash and wear. You can also alter the given design label as you please. Keeping your own personal style is a thing for all. 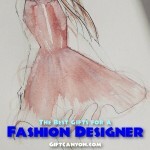 Some have a signature color of outfits, make up style or a favorite accessory that would never be forgotten by many. If your dog groomer loves a ragged style of outfit and a cap is personal favorite then this next gift idea would be a surefire hit. 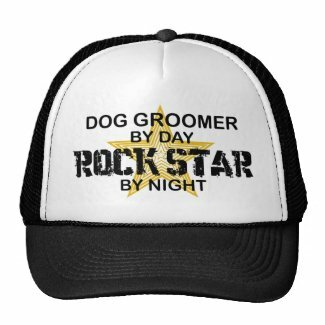 The dog groomer’s rock star trucker cap is a creative way of cheering up your dog groomer by gifting this surprise. It comes in 11 colors to choose from, ensure to pick your dog groomer’s favorite. This cap is made from 100% nylon mesh back which keeps the wearer feeling cool literally. Home service is also a part of a dog groomer’s routine. You can gift a dog groomer friend with this groomer’s tote which is perfect for any travelling needs. Storing the necessary cleaning aids and other needed materials would be organized. This durable tote is made especially for a dog groomer, you could even see the dog’s paw printed on the outside as proof. It’s a rolling tote with two options for height position. It makes a dog groomer’s on the go services a breeze too. The fashionable blue color for this tote is just to die for. 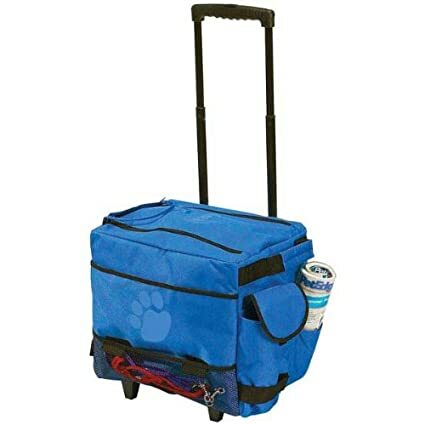 It is 16 inches in height and the tote bag is spacious enough to store all the dog groomer’s essentials. A sparkling wine at the end of the day could ease all the tension that happened at work. If your dear dog groomer is a wine enthusiast then this gift idea would be the bomb. This dog wine bottle holder is so cute, it makes the bottle holder be a replica of a man’s best friend. It is made from recycled steel and copper which are carefully hand crafted to come up with this wonderful piece of art. This would be a charming conversation starter and a beautiful decorative addition to any table or counter top. What would be a simple yet touching way of recognizing the great efforts of your favorite dog groomer? Well, that would be by gifting a plaque. 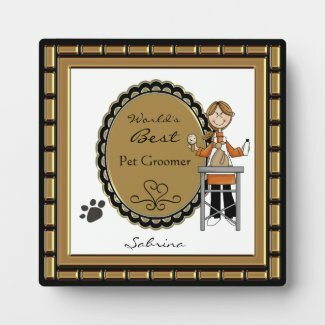 This dog groomer’s plaque has the message: “World’s Best Pet Groomer” customized with a name at the bottom part. This plaque measures 5.25 inches by 5.25 with an easel stand. 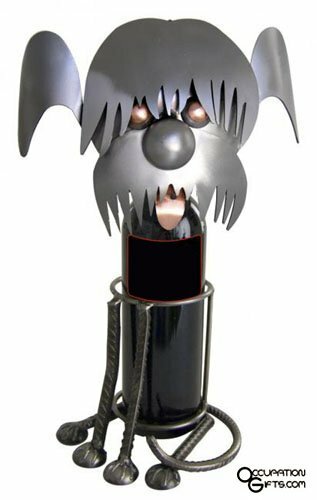 This would be a perfect display and a brilliant way of showing your appreciation for the work of your dog groomer. 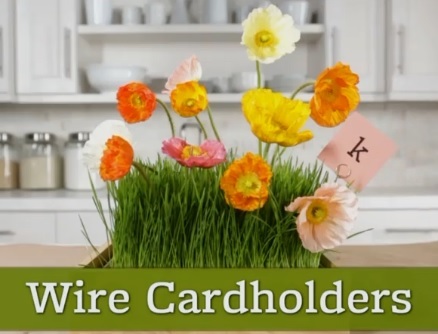 If you are up for the challenge of making a personalized gift which is hand crafted by yourself then you should try this DIY card holder. Follow the easy procedure on this blog: bhg.com. 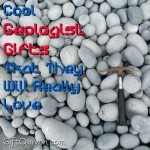 The materials can be easily procured and you can even use things that can be seen in your home. 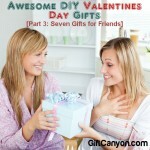 This DIY gift is not only pocket friendly, it is also a sentimental gift because you made it with your own hands. 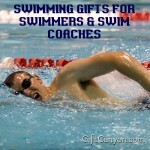 Beautiful Gift Ideas for Your Massage Therapist!